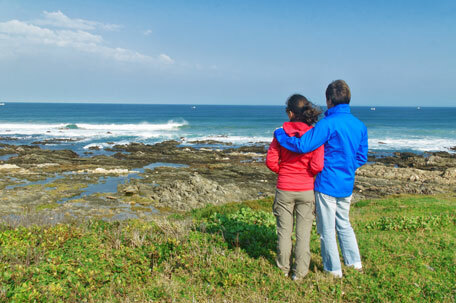 Are you thinking about renting a coastal cottage for a holiday for you and your partner? Everyone likes to be by the sea during the summer, the fresh air, watching boats bob up and down in the distance and perhaps a sail around the coast. Even if the weather isn't scorching hot, a barefoot walk or jog along a beach energises us with good mood endorphins. Holiday accommodation in coastal areas is very plentiful and covers the whole range from self-catering through to hotels. The choice of where you stay depends on budget and generally, holiday accommodation increases in price nearer the beach although facilities such as a swimming pool, spa, parking and tennis courts also contribute to the costs. Staying in a small one or two bedroom self-catering cottage is the ideal situation because of the comfort and 'home from home' facilities. 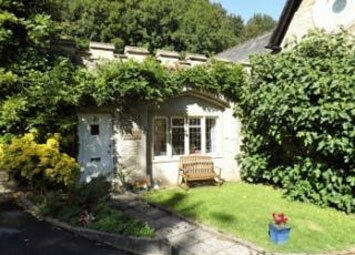 A holiday cottage provides the room to breathe, relax and live. Bring or buy groceries for your trip on arrival and settle in to an easy break. Self-catering with modern amenities and all the comforts of home ensures the best possible seaside break for a couple. A holiday offers a complete change from the norm and a seaside break especially gives our minds something different to mull over as we take in the sights and sounds of the sea. A British seaside experience is a different experience from that abroad. Nowhere else will you find rows of deck chairs, afternoon teas, ice cream in cones, fish and chips, Punch and Judy shows and traditional British seaside entertainment. Traditional seaside breaks in England, Scotland, Wales or northern Ireland consist of a pleasurable selection of days on the beach, perhaps a spin around the amusement arcades and funfair, a theatre trip, walks along the esplanade and plenty of seaside food. We may not normally eat certain foods but holiday time is a good excuse to indulge. Even the most health conscious would admit to a meal of fish and chips on holiday. And cream teas - who can resist? Seaside breaks for two in Devon would not be the same without a cream tea. Fish and chips - to be found and enjoyed at just about every coastal resort in Britain. Cockles, mussels, whelks, crab and other seafood tend to be a coastal speciality especially in south east England. Candy floss, sticks of rock are on sale at many seaside shop in commercial resorts. Ice cream - there is not a seaside town in the UK that does not sell ice cream to holidaymakers. Discover your own seaside retreat for two people and enjoy a relaxing and indulgent self catering break by the sea.